I have a love/hate relationship with poinsettias. I usually get one or two of them over the Christmas season. They are so beautiful with their scarlet petals and green leaves. They kind of epitomize Christmas for me. However, I always end up killing them. Not on purpose, you understand. I want them to live long, lovely flower lives, I will them to live long, lovely flower lives, but I have not discovered the secret of keeping them alive for more than a month at the most. Usually by January 2 or so, the petals are dropping like crazy and, instead of a lush, colourful floral display, I'm left with the sickly skeleton of its former glory. It's then that I guiltily open my back door and deposit the poor thing in the snow, to be cleaned up next spring. I should never buy them, but the hopeful faces of the kids selling them as a fundraiser always gets to me, and as I bring it home, hope rises once more that I will be able to keep THIS one alive. Sigh! 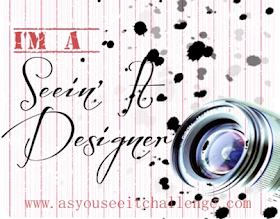 When I saw the As You See It Challenge #063, I thought,"Odd, to be doing a design with flowers in the winter time." But then I realized I could do poinsettias, and what's more, these would not die on me! Bonus! I used Clear Mount Block C to create the rectangle in the center. I just inked it up with Smoky Slate and stamped it right on the Whisper White. I love the texture you get from doing that. Then I got out the Flower Patch Photopolymer Stamp set. It is so versatile. I inked up the small five petal flower in Cherry Cobbler and stamped it right on the edge of the rectangle. 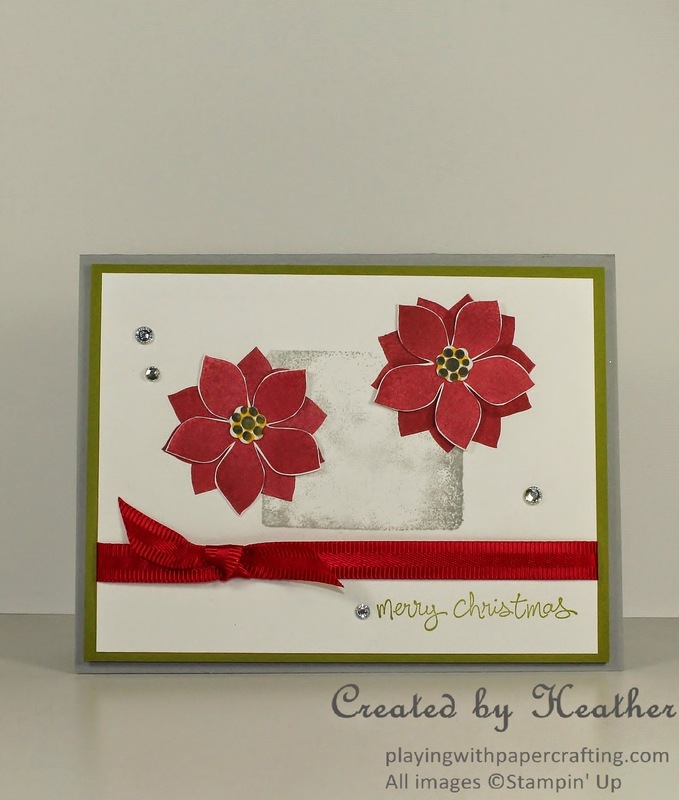 Then I inked it up again and positioned the petals between the petals already stamped, and stamped again. I inked it up once again and stamped the single image on a separate scrap piece of Whisper White twice, and this time die cut them with the coordinating Flower Fair Framelits. It left a wide margin of white around the petals, which detracted from the scarlet display, so I hand trimmed them with my Paper Snips. The centers are also from the Flower Patch set and I stamped them first in Tuxedo Black Memento ink, then in Crushed Curry, to get that two-toned center look. These were also die cut with the Flower Fair Framelits. 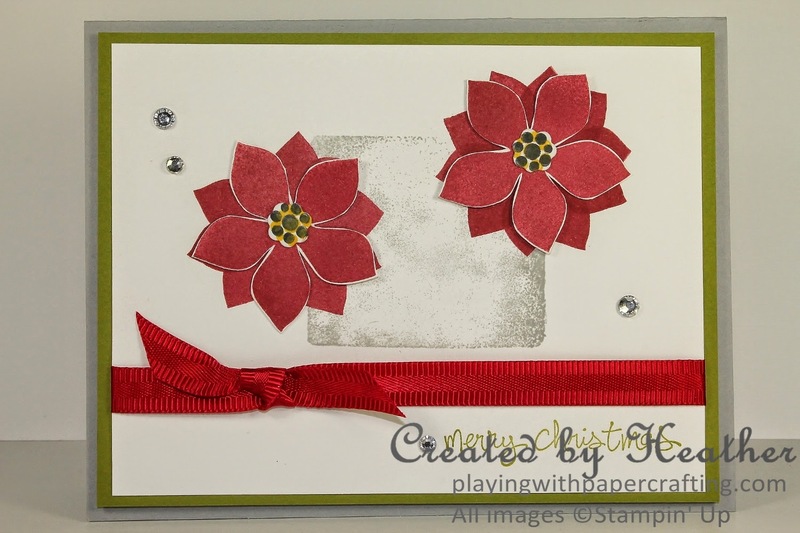 I assembled the die cut flowers and centers over the ones stamped on the front panel and I think it created two fairly credible looking poinsettias. I could not believe that I hadn't yet used my Real Red Woven Satin Ribbon yet. Even though it's Real Red and not Cherry Cobbler, I think it works here. 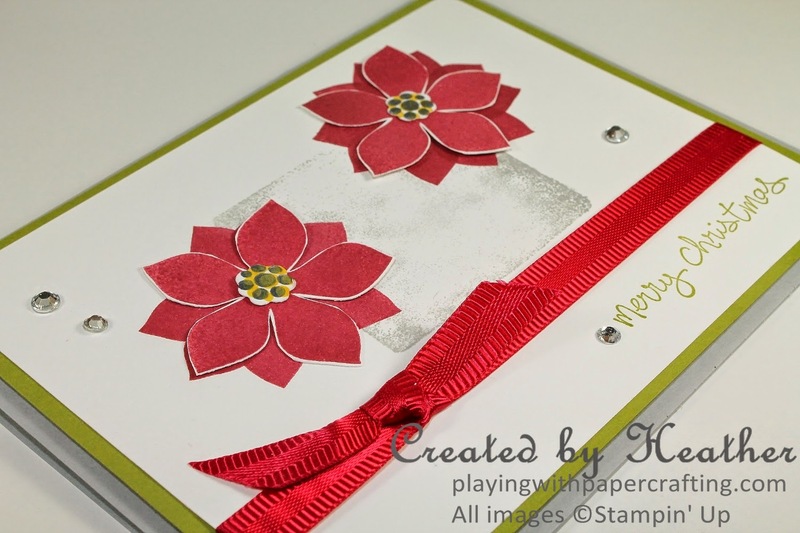 The texture on the ribbon edges reminds me of the texture on the poinsettia leaves and petals. The sentiment, stamped in Old Olive ink is from Good Greetings, unfortunately, no longer available. A few sprinkles of Rhinestone Basic Jewels and the card is done. Holy Stampin' Bonuses, Batman! Stampin' Up! has announced a new ONE WEEK deal on the Starter Kit! 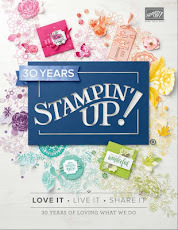 If you have ever thought of joining Stampin' Up! 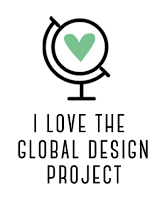 as a Demonstrator, this just might be the ideal time! For one week only, from Monday, November 24 - Tuesday, December 2, the Starter Kit will be 25% off! That means you pay only $93.75 for $155 dollars worth of product of your choice from any current catalogue. (The regular price is $125.00) But that's not all! Not only do you get the 20% discount as long as you qualify as a Demonstrator, but your first order will give you 30% off. There's more! If you sign up between Nov. 24 and Dec. 2, you will get a 5% Cash Back Bonus for your December Sales! Now, tell me, who wouldn't want to sign up?? How do you become a demonstrator? 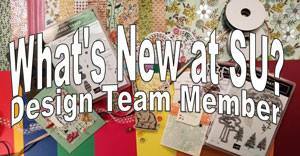 Click on "Join My Team" in the top menu or right here and follow the prompts. Or email me and I will help you through the process! Make sure you wait until Monday, November 24th though, so you can take advantage of this promotion. 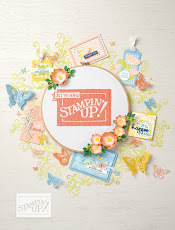 Also, we've had notice from Stampin' Up! 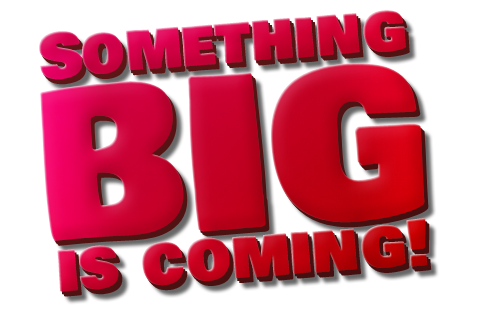 that something is coming, and we find out the details today! I will let you know as soon as I know. I'm guessing that it might be a big sale, as that usually happens around this time of year. Keep your fingers crossed and keep your eye on my blog and on my Facebook page! Have a lovely weekend! 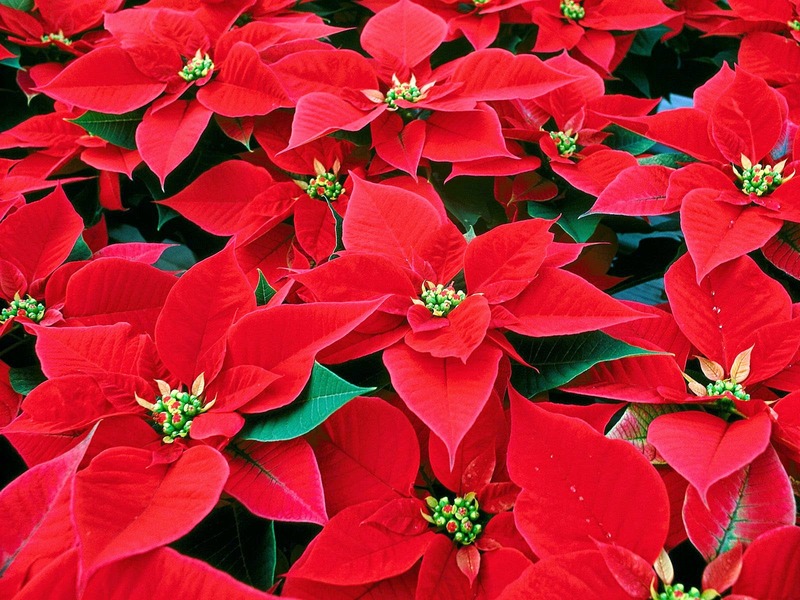 Leave me a comment and tell me if you have any secrets to keep poinsettias alive! All information is welcome! Poinsettias need a lot of water! Even when the soil feels damp you have to water them.....almost every day. Of course, mine don't usually last that much longer than yours, but they seem much happier when I water them lots. I like the ones on your card, they should last a good long time, especially if you 'don't' water them, lol. Thanks for the tip, Eunice. I'll have to try that this year.